Priyanka Dodiyar is a 10 year old girl from Ghotiya village in Ghatol Block, Banswara. Three years ago, while basking in the flame of a bonfire, Priyanka's clothes caught on fire and she suffered a tremendous burn on the right side of her body. She was then taken to the hospital where she received treatment and recovered from her injuries. Despite the treatment, her right hand became attached to her body. This disability caused her many frustrations and issues in her day to day life; she often had trouble performing household chores, as well as other routine activities. Unfortunately, Priyanka’s family was unable to take her to the proper hospitals to get treatment because they were expensive and far from their home. On 30th November 2017 Rajasthan Patrika published an article aiming to advocate for Priyanka’s medical and financial needs. Fortunately, the folks at VAAGDHARA saw this news and acted immediately. The day after they saw the news the Child helpline team at VAAGDHARA went to Priyanka Dodiyar’s house and took an overview of the entire situation. The Child Helpline team was determined to find treatment for the girl. 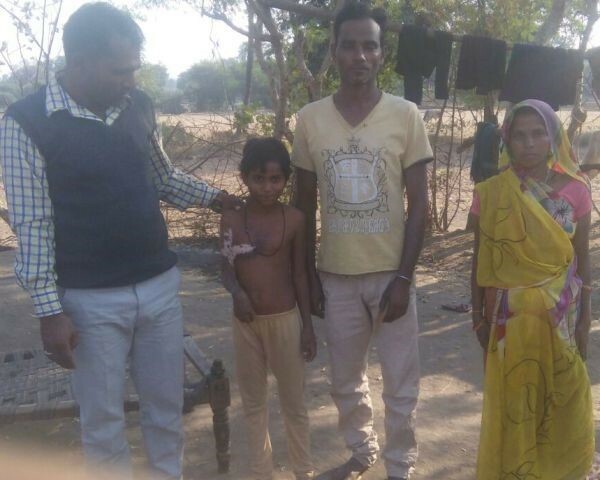 After registering the complaint on the child helpline, they linked Priyanka’s Aadhar card to her family’s Bhamasha card, and then helped her retrieve a certificate of disability from a nearby hospital. With the support of Dr. Anil Iubana as well as Dr. Hemant Soni, VAAGDHARA’s child helpline team also helped Priyanka prepare her Rashtriya Bal Swasthya Karyakram (RBSK). On 19th December 2017, the District coordinator of VAAGDHARA’s Child helpline Mr. Parmesh Patidaar and team member Mr. Kamlesh Bunkar supported and coordinated the efforts to have Priyanka admitted to Mahatma Gandhi Hospital in Banswara. Doctor Hiten Vyas advised that the surgery Priyanka required was not available at Mahatma Gandhi Hospital and referred her for treatment in Udaipur. Following the trip to the hospital in Banswara, VAAGDHARA’s Child helpline team accompanied Priyanka and her family members to the Pacific Hospital Udaipur. At Pacific Hospital of Udaipur, Dr. Guru Bhushan recommended surgery on Priyanka’s attached arm. Despite this recommendation, Priyanka’s family members were reluctant to accept the treatment and stay in Udaipur. Fortunately, VAAGDHARA’s helpline team emphasized the importance of the surgery and convinced Priyanka’s family to follow through with the surgical treatment on Priyanka’s arm. 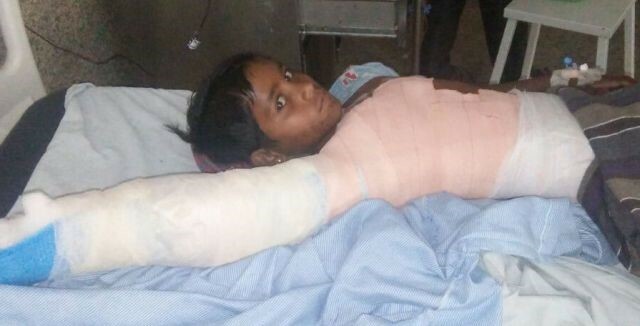 On 23rd January 2018, Priyanka was admitted to the Pacific Hospital of Udaipur and went through successful surgery on her attached arm. After a few days of recovery, Priyanka was discharged On 28th, January 2018, without a disability and able to move about her life normally.